Tucked into the laid back Murray Hill - Shelburne NYC exudes warm-tones and a homey common area. With 325 guest rooms on-site dining at Rare Bar and Grill a seasonal rooftop lounge with panoramic views and a bike program this boutique hotel is the perfect escape on the east side. Shelburne NYC is just a few blocks from Grand Central Station and The Chrysler Building for added convenience. Shelburne NYCs 1250 square feet of versatile and technologically advanced multi-use event space is ideal for business meetings in Manhattan - accommodating groups up to 90 guests. Perfect for corporate events - social gatherings - executive and boardroom meetings. Theres also plenty of room to mix and mingle at its seasonal rooftop bar - Rare View. 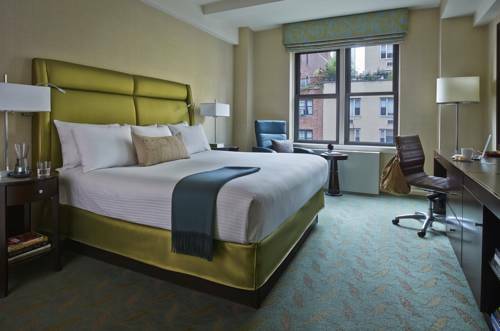 Located in Murral Hill on the corner of Lexington Ave and 37th st. Just steps from the East River and Bryant Park. One of the best burgers in town - the Rare Bar and Grill has earned rave reviews with its unique spin on this all-American favorite. Rare View, one of Manhattan s most amazing rooftops, with a 900-square-foot private area that can be reserved for a memorable meeting or social occasion. Seasonal.